Our Team of Door Experts are here to help you "Let the Outdoors In"
Having graduated with honors from the Schroeder School of Business at the University of Evansville in 2016, Reid has gained both valuable business and life skills through his work experience and world travels in the past four years. Reid’s passion for combining entrepreneurship with woodworking began over 8 years ago when he started making and selling custom longboards. Reid is an outdoor enthusiast with a passion for fly fishing, hiking, and snowboarding. Blake has extensive experience running a small business, having served as President & CEO of Zeidler’s Floral Company in Evansville, IN for more than 30 years. Under his leadership, Zeidler’s competes with the finest designers, retailers, and service providers around the world, by building a strong business culture of quality and brand loyalty. Blake and his family moved to Whitefish, MT in the summer of 2017. Blake enjoys fly fishing and paddle boarding Whitefish Lake now that he is a Montana local. Wade graduated with honors from the Schroeder School of Business at the University of Evansville in 2017. Prior to joining Montana Screen Doors, Wade worked for a large insurance company headquartered in Tampa, FL. He moved to Whitefish to pursue new opportunities and take on the challenges of becoming an entrepreneur. He vacationed to Montana since he was a little kid, and is excited to finally become a full-time resident. Wade's interests include paddle boarding, fly fishing, and hiking. 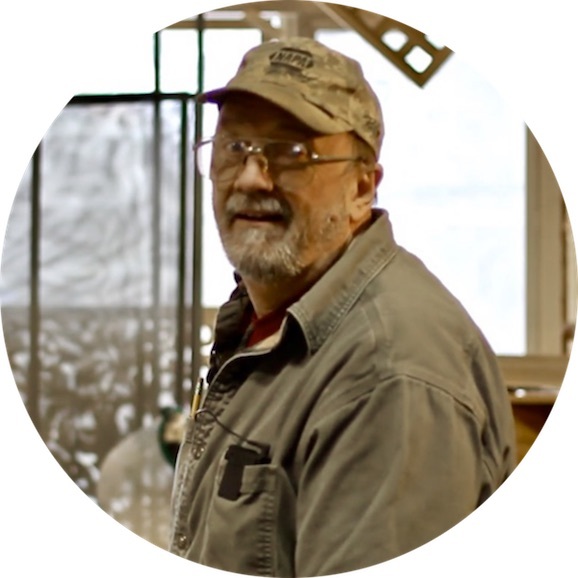 A master at his craft, Stan has been hand making screen doors for nearly 20 years. His gift of woodworking excellence has helped elevate Montana Screen Doors to one of the premiere screen door manufacturers in the country. Prior to joining Montana Screen Doors, he worked in die casting in Wisconsin, designing a variety of industrial products. Stan enjoys the Montana lifestyle and the beauty of living near Flathead Lake.